Carey’s book poses an important and provocative question: what happens to our descriptions of sociality when we move mistrust to the foreground and trust to the background? Can mistrust be the founding stone of a positive sociality rather than its failure? The author addresses this theoretical question through a witty and lively exploration of ethnographic vignettes, extracted from his own fieldwork in the Moroccan High Atlas Mountains. A highly original short book. The last thirty years have seen the publication of huge numbers of books exploring trust, but most of these remained blind to the critical role played by mistrust in everyday social relations. This seminal work by Matthew Carey fills this gap. Based on rigorous ethnographic fieldwork, his book reveals itself to be little short of a general treatise of sociology—one that will be invaluable to the academic community. This is a work of startling originality, written with admirable clarity and discernment. 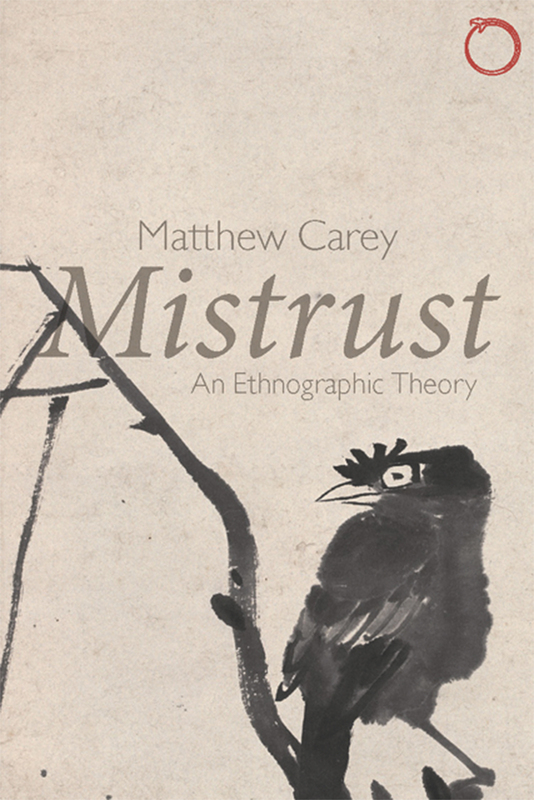 Speaking with ease to the concerns of a wide range of disciplines, Mistrust is a model of how careful thought and hard-won ethnographic experience should work together.